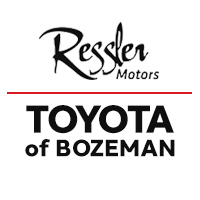 The Toyota of Bozeman Part Center is the Bozeman Auto Parts local for Ressler Motors. They have a large selection of auto parts, and will help you get what you need to get back, or stay on the road. Call the Toyota of Bozeman Auto Parts Center now to see what they can do for you on your next auto parts purchase in Bozeman, Montana.